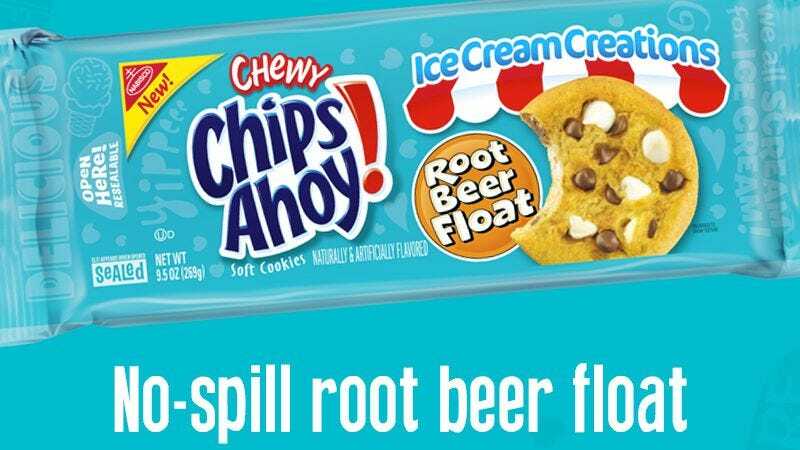 Earlier this month, Chips Ahoy—maker of fine mass-market grocery store pastry—released its new line of Ice Cream Creations cookies. While some of them—Mocha Chip and Dulce De Leche, for instance—sounded like they were par for the supermarket cookie course, others—Root Beer Float! Mint Chocolate Chip!—sounded reasonably intriguing. Thus, when the creamy creations popped up at our local chain retailer, we nabbed them, ate them, and are now reporting the results to you. In short: They were pretty good, and the creation of root beer-flavored chips should be regarded as some sort of scientific monstrosity/miracle. There’s videos of us chowing down below, including a clip of copy editor Becca James bravely taking down a four-cookie suicide sandwich.